The McGill researchers used Canadian data covering 30,000 students from 362 schools across Canada, from a cross-national survey conducted every four years in more than 40 countries in collaboration with the World Health Organization. 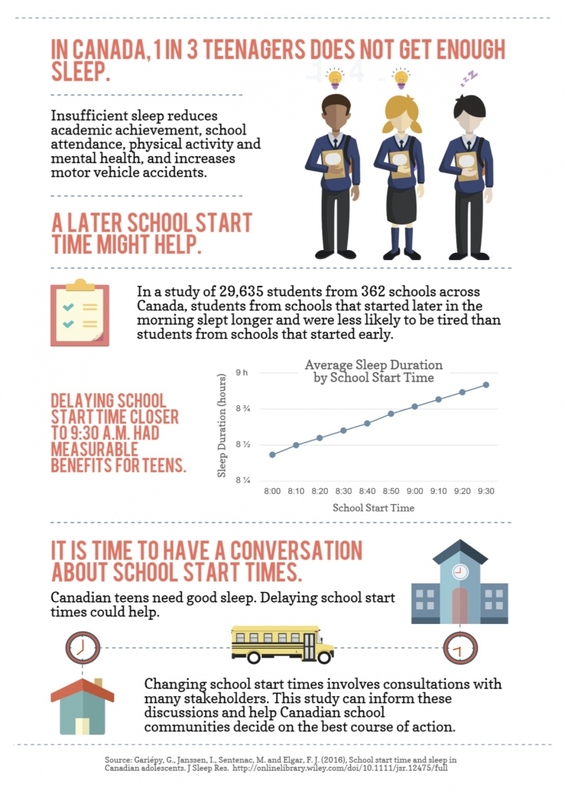 Start times in the Canadian schools ranged from around 8:00 to 9:30. “We found a strong association between later school start times and better sleep for teens,” says Prof. Frank Elgar, co-author of the study.